As a result of both minor-league call-ups and trades during the offseason, the Yankees roster already looks significantly different from last year. 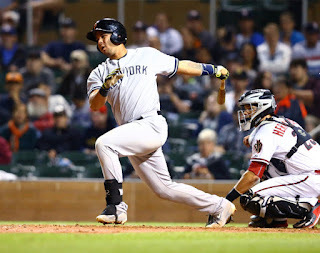 New players from trades such as Aaron Hicks, Ronald Torreyes, and Starlin Castro started the season in the Bronx and both Torreyes and Castro have taken advantage of the new environment and have succeeded early in the season. Only one player that spent significant time in the Yankee farm system has done exceedingly well with the Yankees this year, and he’s Johnny Barbato, who has pitched 6.0 IP, allowed only 2 hits, and has struck out 9. There is definitely talent brewing in Triple-A Scranton and here are the top 5 most likely call-ups, the probable timing of the call-up, and the likelihood of a call-up on a scale of 1-10, with 1 being not likely at all and 10 being very likely. Here is the list of rankings on the Yankee farm system, developed by some of my BBB colleagues, Chad, Julian, Sammy, Phil, and James. #5: Nick Swisher, four years removed from the Derek Jeter incident, gets the call-up over Ben Gamel and Aaron Judge, to the Bronx. 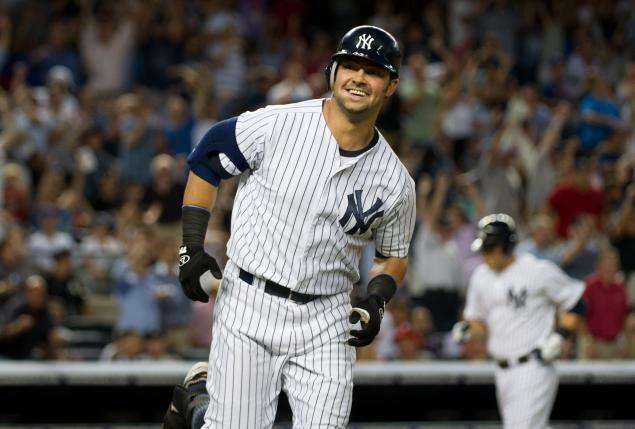 This one would not have even been remotely possible at the start of the year, but just last week, the Yankees added Swisher to its Triple-A Scranton team on a Minor League contract, and as a result, this has to be written about. Although unsure if this is more of a publicity gesture than one that could help the Yankees offensively, it’s not out of question that Swisher could return the Majors this year. He’s a polarizing figure, notably his one-inning appearance pitching against the Rays in 2009 and with the 2012 incident with Derek Jeter, and fans seem to either love or hate him. Swisher spent last season a part of the Atlanta Braves, hitting only .195 in 118 at-bats with very little power (5 2Bs and 4 HRs). 2013 was arguably his last solid year, hitting 22 HRs and driving in 63 runs, while maintaining a .246 average in 145 games. #4: James Kaprielian enters the rotation in August, similar to what Luis Severino did last year. This seems doubtful, and is only part of the list due to the increasing hype about Kaprielian as a “Major League” ready starter. His high 90s fastball, paired with his nasty slider and great command, has allowed him to dominate hitters so far in High-A Tampa, where he’s pitched 12 innings, allowed just four hits and one earned run, and struck out 13. 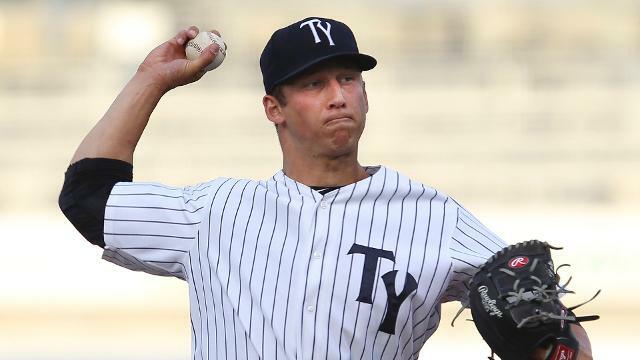 Comparing Kaprielian’s potential track to the Majors to Severino, although Severino pitched solely in Double-A Trenton and Triple-A Scranton last year before coming to the Bronx, Kaprielian is only one step behind in High-A Tampa, and it seems like it would be just a matter of time before he moves up to Trenton. #3: Rob Refsnyder becomes a backup utility infielder mid-season, because Ronald Torreyes goes cold and Dustin Ackley is not a suitable replacement at third. Ronald Torreyes is a fan-favorite so far this season, getting fans to react with tweets such as “Torreyes > Headley” or “#TorreyesforMVP,” but it seems extremely unlikely that Torreyes will be able to keep this hot start going. Just 23 years of age, Torreyes played only 22 career games at Triple-A before making the Yankee Opening Day roster out of Spring Training. He only hit .244 in Triple-A with very minimal power, so he is at-best a off-day replacement for the Yankees. Although he has hit .500 this year (6-for-12) with 3 runs and both a double and triple, it’s just unlikely to think he could become much of an impact player this year. Torreyes’s start reminded many Yankee fans of Yangervis Solarte, who in 2014, hit .303 and .296 and became the everyday 3B for the Yankees. Currently, Ackley is the main backup at second and first base for the Yankees, and he has never played third base in his life. Imagine this: on a typical day, Headley, Didi, and Castro start at 3B, SS, and 2B, respectively. 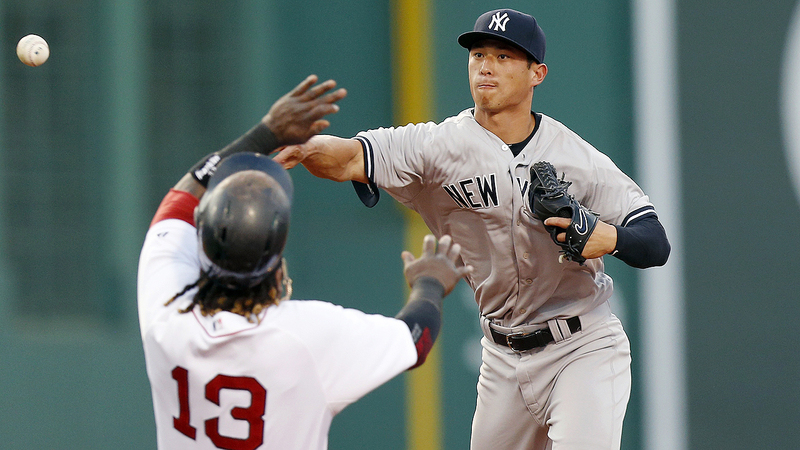 Torreyes goes cold, and the Yankees now need an infielder who can play all three positions at any given time. Refsnyder definitely needs to improve on his fielding, as that is an issue, but even if Torreyes goes cold, Refsnyder will most likely come up to the Majors as a corresponding move. In a very limited span in the Majors last year, Refsnyder hit .302 (13-for-43) with 2 HRs and 5 RBIs. #2: Gary Sanchez replaces Austin Romine as the primary backup catcher in the majors. One of the most intriguing competitions, other than the fifth spot in the rotation battle, was the competition between Gary Sanchez and Austin Romine in 2016 Spring Training. Many fans predicted Sanchez, as he has been regarded very highly in prospect rankings, and Romine couldn’t even finish the season last year on a Major League roster. In fact, Sanchez got the call-up in September over him and Romine’s numbers in the second half in Scranton were not very good. But, Sanchez then went 1-for-21 in Spring Training and it looked like the pressure of making the big league team got to him. However, Austin Romine is not exactly hitting very well in the Majors either, and he is actually getting somewhat significant playing time as McCann is a veteran and often needs rest. He’s played in 5 of the 11 Yankee games this year, although he’s started only 3; he’s 2-for-10 and has not driven a run with scoring position. 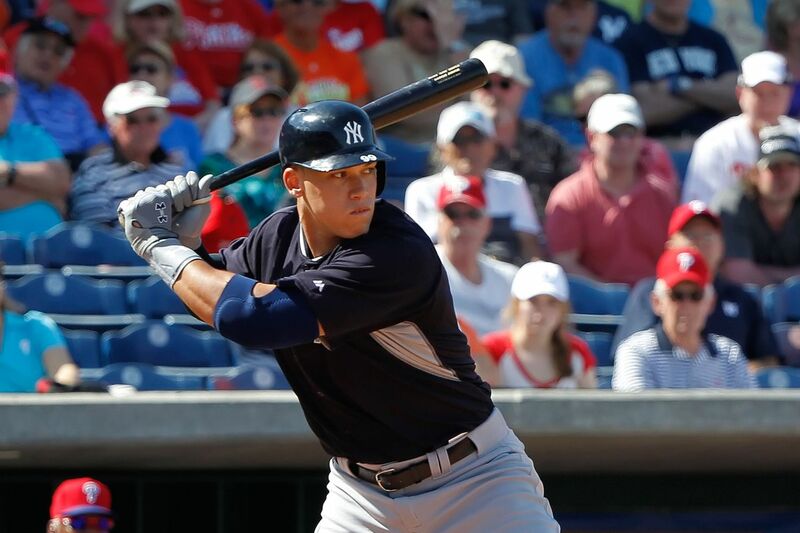 #1: Aaron Judge makes his Yankee debut this season and hits a home-run in the first at-bat of his career. I’m joking about the second part of the prediction, but if that happens, you read that first at the BBB. 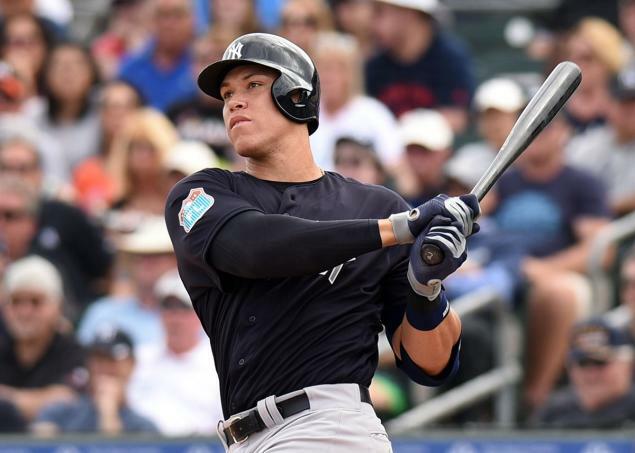 Jokes aside, Judge continues to recover from his underwhelming Spring Training performance and has hit .342 with 13 hits, 3 doubles, and 4 RBIs in Scranton so far. Yankee fans everywhere clamored for Judge last season, but his .224 batting average in Scranton, paired with only 8 home runs in 228 at-bats, and also his .180 batting average with RISP, caused him to remain in Scranton while many other Yankees such as Gary Sanchez got the September call-up.